Share Why is Microsoft scared of Chromebooks? "It’s pretty much a brick," says Pawn Stars’ Rick Harrison as he rejects a Samsung Chromebook brought in by an actor playing a customer. Microsoft really doesn’t want you buying this thing. But why? Just how big of a threat are Chromebooks, Google’s oft-ridiculed web-only laptops, to Microsoft’s core business? 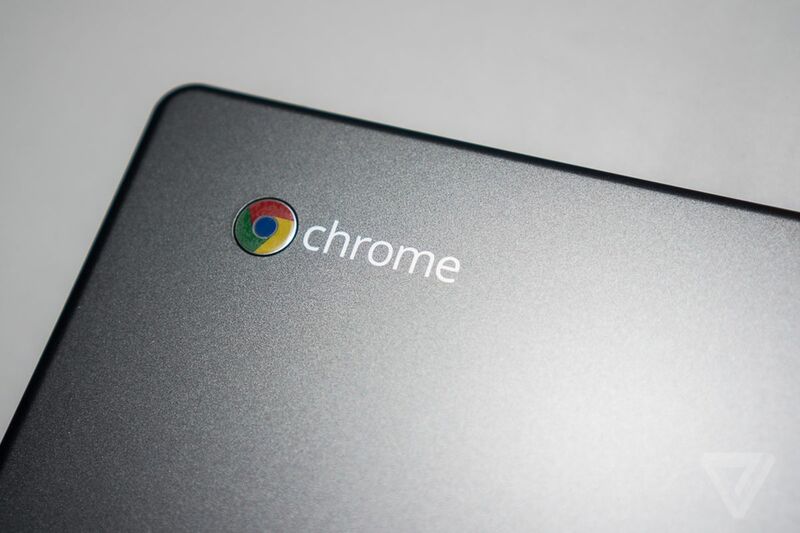 In many ways, 2013 has been the year of the Chromebook for Google. From Acer’s $199 C720-2848 to HP’s $279 Chromebook 11, Mountain View has attracted traditional Windows PC makers to build a variety of low-cost laptops in time for the holidays. While Microsoft had largely ignored the threat since the first Chromebook launched some two years ago, it’s been on the attack in recent weeks as part of its ongoing "Scroogled" campaign. Following the Pawn Stars bit, the company has recruited its own "Ben the PC Guy" to hit the streets for comparisons between Windows 8 and a Chromebook. Microsoft’s latest effort to undermine the Chromebooks feels more "Mac vs. PC" — Apple’s famous ad campaign from several years ago — than anything else. The scenes are reminiscent of the "laptop hunter" ads that Microsoft used to attack Apple following the Windows Vista release — it’s a similar approach nearly five years later. The difference this time is that Microsoft appears to be targeting a threat that doesn’t really exist yet: while consumer-research group NPD claimed earlier this year that Chromebook sales have snared nearly 25 percent of the US market for laptops under $300, that market has been largely replaced by tablets. Rival research firm IDC estimates that Samsung shipped around 652,000 Chromebooks worldwide in Q3. "Among other vendors Lenovo, Acer, and HP have shipped, but in tiny volume," says IDC’s senior research analyst Rajani Singh. IDC expects Chrome OS devices to reach 3 million units this year — that’s less than 1 percent of all PC sales. Something has Microsoft spooked, though. Chromebooks have dominated Amazon’s best seller charts in the US, but without hard numbers, it’s still unclear exactly how well Google’s laptops are selling worldwide. There is a threat from well-priced laptops, as we’ve witnessed from Linux-based netbooks years ago, but things appear to be moving slowly for Chromebooks right now. Google’s latest Chromebooks from Acer and HP could help push things further, but Google and HP were forced to halt sales of the Chromebook 11 last month following complaints of chargers overheating. After three weeks, the Chromebook 11 still hasn’t returned to shelves despite the important Black Friday and Cyber Monday shopping days during the busy holiday period. And in reality, Microsoft’s offensive could backfire, drawing more attention to a platform that many consumers aren’t familiar with. Google has been aggressively pushing its range of Chromebooks with simple ads that focus on the price of the laptop and its simplicity. The devices won’t appeal to every consumer due to their various restrictions, but many potential customers might not even be aware of their existence yet. "Given Microsoft is currently losing the mobility war by a wide margin, they are turning to defending their laptop turf, and doing it by playing a strong offense," says Patrick Moorhead, president and principal analyst at Moor Insights and Strategy. "The downside is that by Microsoft going after Chromebooks with broadcast media, they are increasing general consumer awareness and familiarity for Chromebooks versus the more technically savvy who are buying Chromebooks." Of course, it’s not just about the hardware: Microsoft appears to be wary of the Chrome OS' threat to Office and their apps, a threat that could undermine one of Redmond’s most important revenue streams. Google’s laptop operating system is a tweaked version of its Chrome browser, running across PCs, Macs, iPads, and Android tablets. It supports the same series of web apps that Google is trying hard to push developers to create, and it also provides access to the web services that Google offers free of charge. Google Drive isn’t a replacement for Microsoft’s full suite of Office apps, but it does provide lightweight equivalents perfectly usable for basic tasks. In Microsoft’s latest ad, Office is used as a selling point for Windows 8 machines over Chromebooks. It's a somewhat protective move to help keep consumers hooked on Office, and it feels similar to the same approach used to initially push Surface RT. The latest efforts might seem puzzling, but they just underline Microsoft's widespread fear of Google. The software giant was successful in seeing off its competition with Mac vs. PC, mainly because Apple’s equivalents were expensive at the time, but Google’s approach is to practically give away hardware. The political nature of the campaign reflects Microsoft’s view that in many areas in which they compete, there can be only one winner. "You see negative business ads more often when it is zero-sum," says Neil Malhotra, an associate professor in the Graduate School of Business at Stanford University. Most likely, you will either buy a Chromebook, Windows PC, or an iPad — and Scroogled or Microsoft’s anti-iPad ads exist to make sure you pick the PC. That Microsoft would launch its Chromebook attack as Christmas approaches is just good retail business sense. In politics, the negative campaigning stops when the election is over. In business, it can go on forever — and Microsoft says that "Scroogled" will continue until Google stops targeting ads based on the data it collects, which should coincide roughly with the heat death of the universe. "Business is about repeated interaction," Malhotra says. "It's another reason why negative advertising is not a great strategy — it can deteriorate all brands in the long term." If Scroogled is working, which isn’t clear just yet, then this campaign is here to stay. The only thing likely to stop Microsoft in the meantime is a sense that the company is only Scroogling itself.